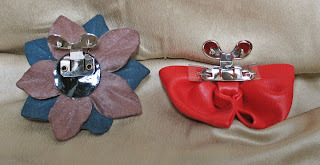 I love tango shoes with decorations, but I don't have the moolah for Greta Floras with the adorable leather flowers, or Comme il Fauts with bows and lace (even if I could find a pair that fit) so I found a vintage(ish) solution - shoe clips!! Why didn't I think of this sooner? 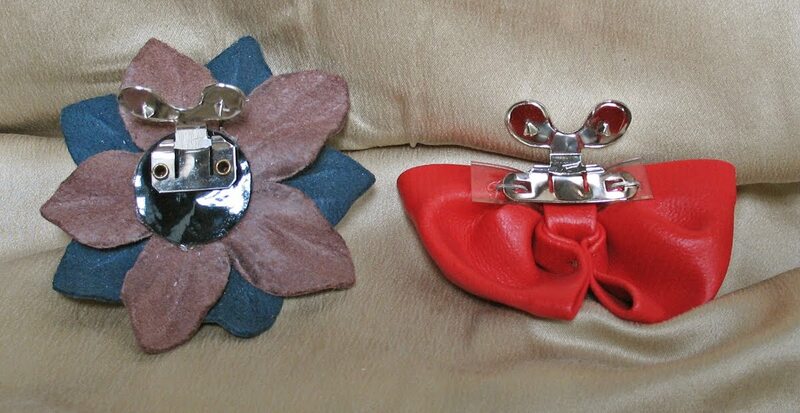 I love the vintage clips from "Not Just Musi Bows" on Ruby Lane - they're very nicely priced and have lots of unique styles. The backs are c-shaped (and very flat) to fit the shape of the shoe well, and priced very nicely - starting around $11. The selections are a bit limited but have lots of pizazz. You can get new, really glitzy ones from Absolutely Audry like these, for about $25. Absolutely Audrey has a pretty impressive selection in just about any color imaginable - but the price is a bit higher. It's really a matter of what kind of look you're going for. If you need to match a particular outfit, Absolutely Audrey is probably the way to go. i do this to my shoes too! 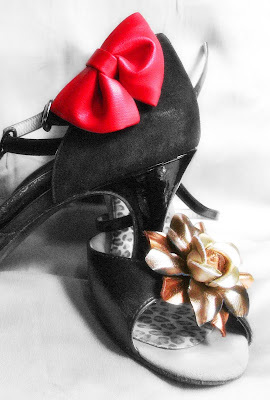 Wonderful idea for an easy shoe makeover! Jen - cool beans! I'll keep sharing links to the places I find with good selections. AT - I wasn't able to find the Gretaflora flowers for sale online - just pictures of them. I have a feeling they're more than the $11 I paid for my leather flowers though. :( Still, the GF's are gorgeous! Thanks, Mari, so much for featuring my items and shop in your blog.